This house seems to be an older-style house since it is only two stories high. Most houses in Springfield built in this era were 3 stories. 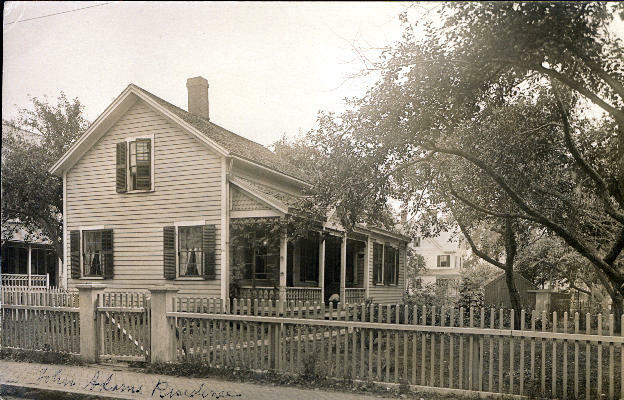 The photo is identified on the front as being John Adams Residence, and when enlarged, the house number seems to be 1?1 (the middle digit being unreadable, but possibly a 0, 3, 5, 6, or 8). There is no John Adams listed in the 1904 Springfield directory with an address of 101, 131, 151, 161, or 181, so it is even possible that this house is in another town, perhaps in Connecticut.